Do you think everyone needs an accountant? Short answer is no. For those that are happy with their current situation and do not have complicated tax affairs, e.g they’re salary based with minimal deductions the ATO offers an online option called myTax. However, for those that wish to take their financial journey to new peaks and make the future more bullet proof seeking the advice of an accountant is recommended. An accountant can assist you with making well informed decisions and make sure you are also holding your investments in the best structure. So when do you need an accountant? For most moving from DIY, the reaching point is when you are planning to expand your income sources. Many believe it is after this point, but getting the right advice before will deliver a better outcome in the long run. 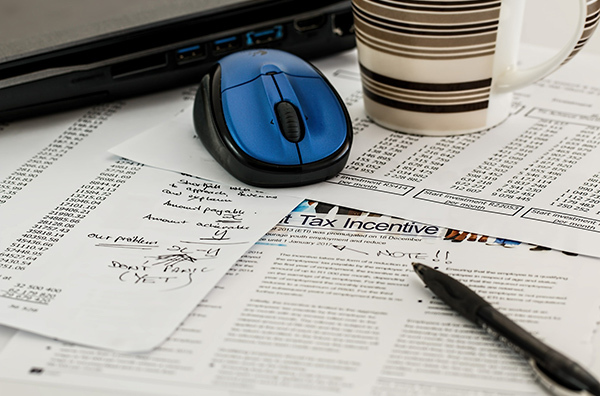 Even if you only have one source of income an accountant may be helpful if you need advice on tax deductions or considering starting a small business. Numbers can also make some people very nervous, if this is you then you probably need an accountant. It really depends on the complexity of your finances. Some firms charge a low fee for someone to do a myTax submission while you sit in-front of them (okay if you’re time poor but really you can do this yourself!). My advice is to speak to a few – if you have a clear idea of the different types of income you’re expecting or complexity of your business a good accountant can give you a fairly accurate quote. So you think DIY’ing your taxes is a bad idea? I love DIY building renovations. Google has been a great source to learn the latest tools and techniques. Even though I’ve learnt some valuable information from my research, if it weren’t for the mentoring my builder dad provided over the years, some of those DIY renovations could have turned nasty and costly. There is nothing more valuable than getting the right advice based on your specific requirements. As dad flags, what appears easy and doable on paper or screen, is not always the case when you try to implement it. Having specific knowledge of the situation is vital in the renovation game. I have found this to be true when managing taxes and finances. Right so DIY is okay but only to a point? Don’t get me wrong I am a big believer people should take a greater position when it comes to their own finances and taxes. At the end of the day no one will have as big an incentive to make and keep your wealth more than you. Getting that right often means having a great team to leverage from. As research shows that for many of us our success is often based on the company we keep. Would you operate on yourself? Probably not! So why risk taking onboard 100% of managing your financial well-being? What’s your top tips for finding an accountant? Qualified: If you’re seeking an accountant to assist with your taxes make sure they are Registered Tax Agents and members of an professional accounting body. Location: Decide what’s important to you, are you more comfortable having an accountant you can share a real coffee with or happy to keep the relationship in the virtual world, if that real coffee is important determine how far your willing to travel to meet up. Specialisation: Particularly relevant to freelancers and business owners. Does the accountant have knowledge about your industry, line of work or type of income? For example, an accountant with photographer clients will understand what deductions you can claim. We specialise in start-up clients so understand nuances like the R&D Tax Incentive. Costs: Understand what you’re paying for and if you’ll pay a flat fee or an hourly rate. Don’t always go with the cheapest, some accountants will just process your tax return and others add immense value and work to save you money. Connection: Talk with a few accountants before you decide to engage them to work for you. Remember the right accountant will be more than just your tax accountant for year end. When you find a professional you click with you will see they are more than numbers crunchers, they will be your sounding board, your sanity (for those times where you get alarmed) and the protector of your assets (why pay more tax than necessary, or worse yet to the ex!). Find the right accountant and they will be your co-pilot on your financial journey. For more information on choosing an accountant see ASIC MoneySmart: How to find a tax professional. Anna Kyriacou is CEO of AKA Group Accountants Advisors Mentors.